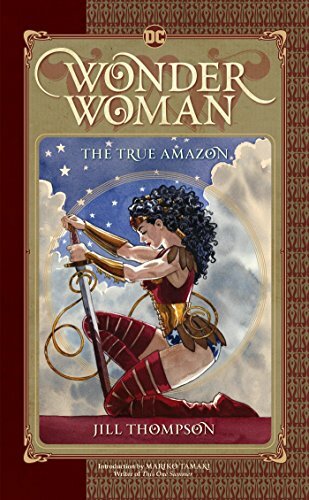 See Wonder Woman like you’ve never seen her before in WONDER WOMAN: THE TRUE AMAZON, an original graphic novel from Eisner Award-winning writer and artist Jill Thompson. Join Princess Diana in her early years, as she develops into the formidable hero we know and love. Young Diana has the fawning attention of her nation, but she soon grows spoiled and ungrateful. When a series of tragic events takes its toll, Diana must learn to grow up, take responsibility, and seize her destiny. Acclaimed for her work with Neil Gaiman’s THE SANDMAN, DEAD BOY DETECTIVES and more, Jill Thompson fulfills her dream project of bringing readers this new perspective on the Amazon Princess. Starring in her own feature film next year, Wonder Woman is at the forefront of media attention, and this long-awaited story is highly anticipated by fans of both the character and the creator. Steeped in the mythology of this iconic character’s original conception, WONDER WOMAN: THE TRUE AMAZON is a fresh, stand-alone interpretation of the most famous and iconic female superhero of all time.